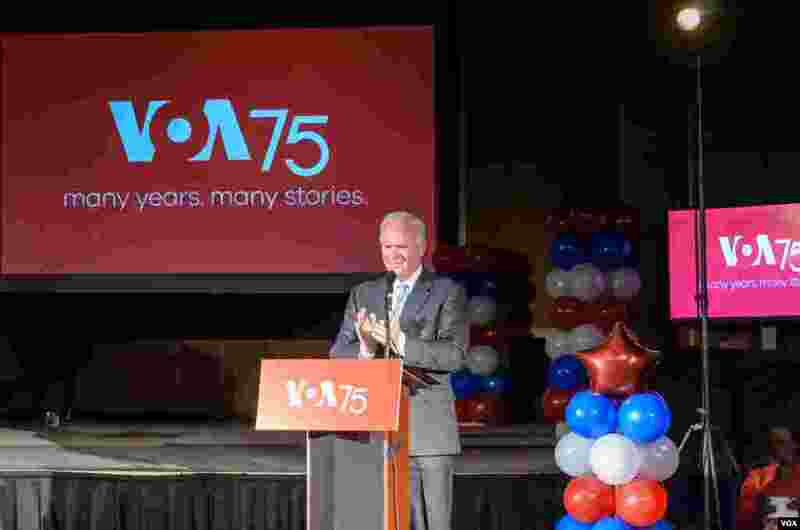 VOA staff, alumni, and special guests gathered to celebrate a significant milestone - 75 years of broadcasting. 1 BBG CEO John Lansing honors guests at the VOA 75th anniversary event, March 2, 2017. 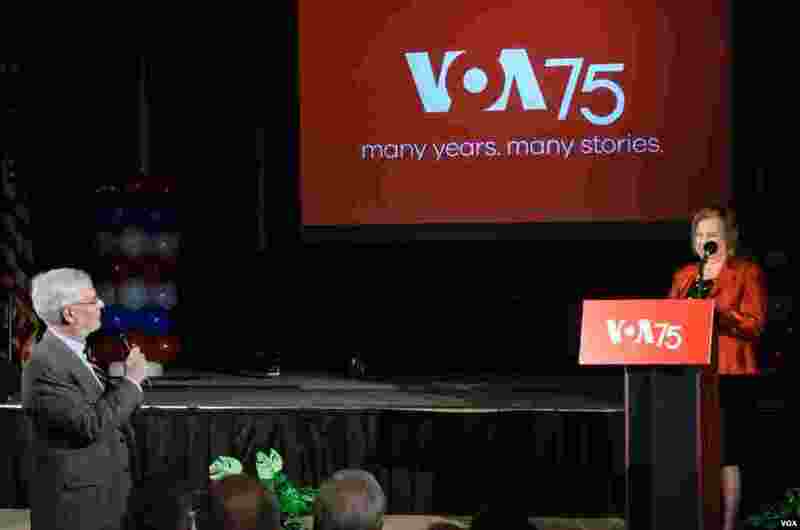 2 Former VOA Director Sanford (Sandy) Ungar at VOA's 75th anniversary event. 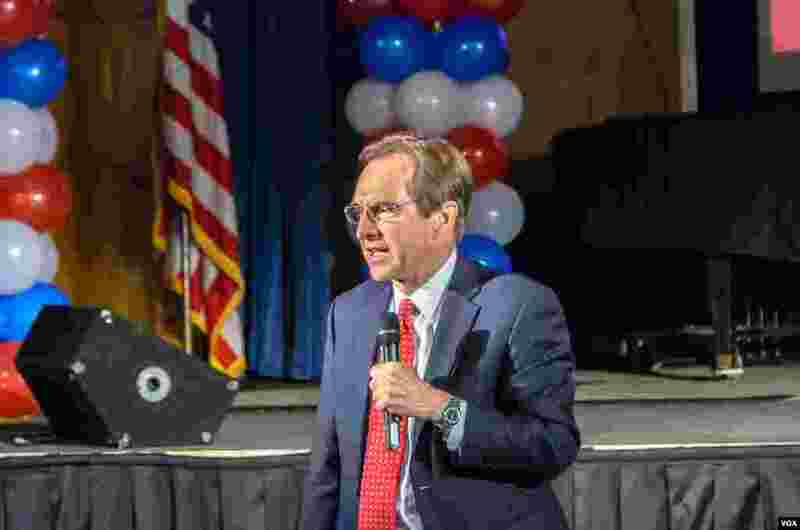 3 Former VOA Director David Ensor attended VOA's 75th anniversary event. 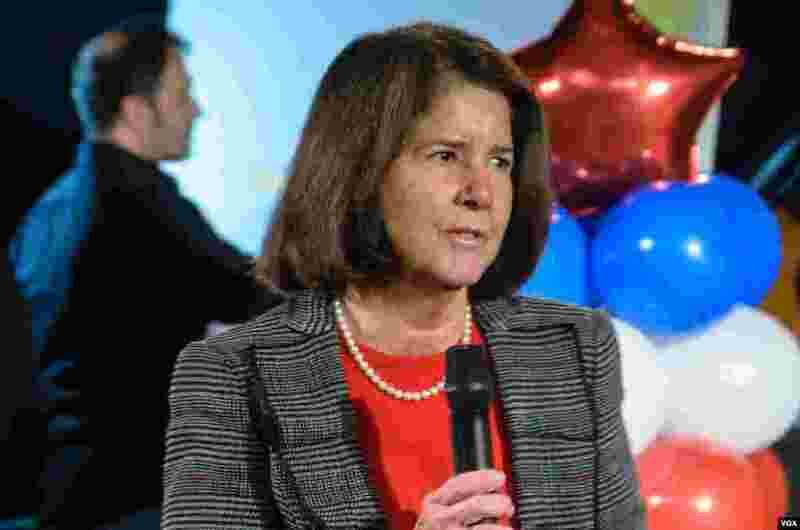 4 VOA's first female director, Mary Bitterman, said a few words during the 75th anniversary event.